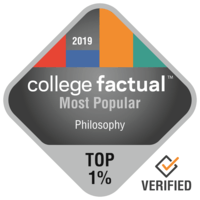 The Philosophy deparment offers a variety of course during the summer sessions. All courses are taught completely online so you can take your classes with you wherever you go. Students interested in Fulbright awards are encouraged to attend the information session whether you are just getting started or your application is already in progress. In addition, Shelley Hawthorne-Smith of UA’s Graduate College will also be offering one-on-one sessions for the Fulbright-Hays Doctoral Dissertation Research Abroad Program. Please see the Fulbright Week calendar for further information and to RSVP. The THINK TANK Writing Center is hiring! You can find more information about the position and apply here. If you have additional questions, please feel free to reach out to Kaylin Squyres at kasquyres@email.arizona.edu. This adventurous new Summer Program is available for all UA students. Grab your UA friends and head to Prescott College for summer school while beating the heat, making memories, and earning credits! Learn more about studying in the Prescott Pines. Come celebrate the launch of the new Arizona Abroad Locations on the mall on Wednesday, April 10, 11am-3pm. North Wind Resource Consulting is looking to fill several part-time and full-time positions that are available both here in Arizona and across the country. For more information check out the full job posting or their website. Take Charge Cats is a program that trains Undergraduate students to teach personal finance workshops to middle school, high school and college students. This position is an amazing way for students to gain leadership and public speaking skills and is open to all majors. See the Ad and Job Description flyers, contact Krystle Calles, or visit their website for more information. UA's School of Natural Resources and the Environment and local non-profit Watershed Management Group have partnered to offer students the opportunity to work on water-related issues to gain work force relevant experiences. Check out the program here. This internship opportunity is open to all UA majors and is seeking interns with a variety of interests & career tracks. For more information contact Katie Hughes, khughes@email.arizona.edu. Learn about the MS in Security na dIntelligences Studies and the MS in Cyber Intelligence Security and meet the department chairs, Dr. Thomas Field and Dr. Krishna Sampigethaya. College Website. Contact Kerstin Alicki at 928-777-6632 or alickik@erau.edu with questions and to RSVP. Join the Mindful Ambbassadors for an hour of relaxation and awareness. March 20th and April 17th, 6-7pm, in the Main Library room A214. Under the supervision of the Testing Office managerial team the student employees will proctor the CollegeBoard Advanced Placement (AP) Examinations to high school students between May 6th and May 1th, 2019. Thinking of getting an MA in Public Administration or Public Policy? The School of Government and Public Policy are hosting an information lunch on Thursday, March 28th at 11am. Please RSVP here. Interested in becoming a teacher? Teach Arizona is a one-year master's degree program for people who have earned a bachelor's degree and wish to become middle or high school teachers. Interested in working with animals, but not sure how to get there? Join the Colleges of Letters, Arts, and Science for an exciting career panel about what it’s like to work with animals in a variety of contexts. We’ll be hosting professionals from the Desert Museum and the Reid Park Zoo to talk about their experiences and answers to questions about the pitfalls, thrills, and skills needed to work with animals! The University of Chicago Undergraduate Philosophy Review (ucpr.blog) is accepting submissions from undergraduate students for their blog and their Spring 2019 print issue on the topic of Health and Sickness. Samantha Gardner is an experienced educator who has spent the last five years researching, teaching, and speaking on career development, branding, and LinkedIn. Every day professionals and Silicon Valley startups have utilized her diverse skills and insights into the job market, LinkedIn marketing, and professional branding. Are you looking for exciting new opportunities in IT/Cyber? Come out and meet Team SOSi! Enjoy wings while you learn how to make your career soar supporting US Army contracts at Ft. Huachuca. Hiring managers & a Recruiter will be available for onsite interviews. Current Opportunities: IT Security Analyst, CND NEAT Data Security Analyst, Network Administrator, Software Engineer, VoIP/VTC Facilitator, and Service Management (ITIL) Team Lead. Cyber & Wings is this Friday, March 1st from 4-7PM at Native Grill & Wings (3100 E. Speedway Blvd). The SALT Center is currently hiring undergraduate and graduate student tutors for the fall 2019 semester. The SALT Center is a leading comprehensive academic support program for university students with learning and attention challenges. This is a paid position that starts at $11.25 an hour with opportunities for promotions, raises, and leadership roles. The 2019 Health Professions Expo will be hosted Tuesday, 2/19 in the SU Grand Ballroom. Check out the flyer to see all of the health professions week events. The application for the 2019-2020 the College of Social and Behavior Sciences ambassadors is open. For more information visit sbs.arizona.edu/student-ambassadors or see the flyer. The American Academy of Arts & Sciences released a study last year indicating that humanities majors are gainfully employed in positions of authority and feel as satisfied with their careers as their STEM counterparts. Read the full article in Inside Higher Ed or the study from the American Academy of Arts & Sciences. The Arizona Department of Education is hosting a 2019 Southern Arizona Education Job Fair on March 2nd and a 2019 Arizona Statewide Education Job Fair on March 9th. To register for the job fairs visit and fill out the registration form. University of Arizona Enrollment Management is seeking a detail-oriented and enthusiastic undergraduate student to support the Enrollment Management Systems and Communication (EMSC) team. Interested students can submit questions or apply with their resume and cover letter by emailing Kayla Lugo at kaylaharvey@email.arizona.edu. It's never too soon – or too late – to take full advantage of the FREE support services and resources the UA offers to students! Having a landlord problem? Need to know about free food from the Campus Pantry? Have a paper due soon and not sure how to start? Want to get connected? Have a question about your student account? Drop by the Campus Resource Fair, chat with campus representatives, grab a snack and get the information, connections, and answers you need to succeed! The Office of Scholarships and Financial Aid (OSFA) is looking for Wildcat(s) (undergraduates and graduate/professional students) to share their financial aid/paying for college story in a video format. The videos will help other current and future Arizona students to understand how they can draw on a number of sources to help with college affordability. For each category (undergraduate and grad/professional), first place will receive a $1,000 scholarship and “runner up” videos (at least two will be selected) will receive a $500 scholarship. To learn more, visit www.teachforamerica.org. SIPP@Brown is a two-week residential program for undergraduate students who are interested in pursuing a graduate degree in philosophy and who are members of groups that traditionally have been underrepresented in the field. This year, it will be held July 21 - August 3. Ohio State University's student run JPIA is seeking qualified student submissions for the Spring 2019 issue. The third annual Feminist Summer Reading School will be hosted at Cornell University this year and the theme is "Philosophy and Bodies". The Saint Louis University Philosophy Department, in conjunction with the undergraduate Philosophy Club, is issuing a call for papers to be presented at its seventh annual Undergraduate Philosophy Conference! The graduate students of the University of Arizona’s Department of English invite proposals for the annual New Directions in Critical Theory Graduate Conference. Held every spring, New Directions is an interdisciplinary conference organized for and by graduate students as a way of drawing together scholars, artists, and activists across diverse disciplines.This year’s conference, entitled “Timely Transformations: Looking Backward, Moving Forward,” invites papers and performances that explore change in all its forms, with a special focus on conceptualizing change as a form of progress or as a response to an urgent need. Want to learn how to creat a custom iOS app and already have some coding skills? Check out the Fast Track 12 week program. The course begins on January 23rd. The largest hackathon in the southwest is back giving everyone, regardless of major or experience level, an opportunity to gain hands-on experience with technology alongside students, companies, and mentors at the University of Arizona. The Arizona Department of Education is hosting a 2019 Southern Arizona Education Job Fair on March 2, 2019 and a 2019 Arizona Statewide Education Job Fair on March 9, 2019. To register for the job fiars visit and fill out the registration form. Make some new friends, learn effective backrub and other stress reduction techniques, acquire hands-on experience working with a popular health initiative, gain marketable customer service and communication skills, and make a positive impact on people's days by joining the Stressbusters team. The University of Toronto's History and Philosophy of Science and Technology undergraduate journal is accepting submissions. Dianoia, Boston College’s peer-reviewed Undergraduate Journal of Philosophy, is currently accepting submissions for its Spring issue. Noēsis, the undergraduate journal of philosophy at the University of Toronto, is now accepting submissions for the first edition of the 20th Volume for publication in Spring 2019. This 1 unit hybrid course enables students to learn about a variety of health professions. They get to listen to many student and professional panels, which allow them to be more informed when picking a career to pursue. The class meets on Tuesday from 5:00 – 5:50pm. Apply for a internship with the office of Student Engagement and Career Development for the spring 2019 semester. Deadline approaching for submissions to the international undergraduate journal, Stance. The University of Idaho's student run Philosophy Journal, The Hemlock, is accepting paper submissions. This three (3) unit course will introduce general themes focused on Science, Health and Engineering and their impact on Policy and Diplomacy. Applications will emphasize Latin America. Winter classes run from December 17, 2018 to January 8, 2019 and all courses are taught fully online. Stance an international undergraduate philosophy journal is seeking paper submissions. Cornell University’s Undergraduate Philosophy Journal & Club is soliciting paper submissions from undergraduates for its Spring 2019 journal publication. A Priori, Brown University’s undergraduate journal of philosophy, is now accepting submissions for publication in its Spring 2019 issue.